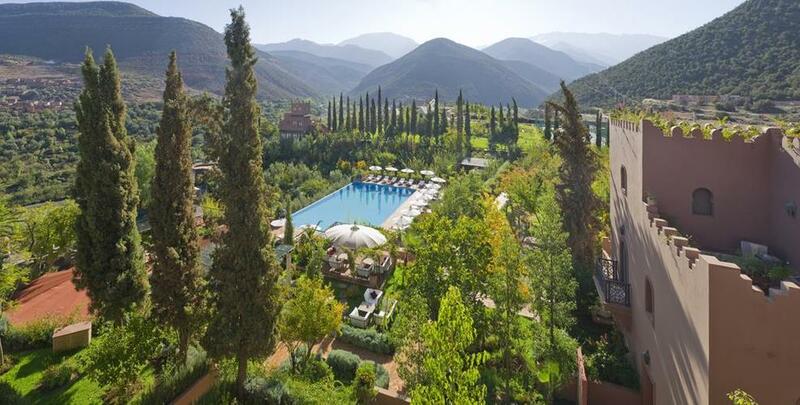 Kasbah Tamadot is a superb Moroccan retreat at the foothills of the Atlas Mountains just one hour's drive from Marrakech. Here you’ll find relaxing comes easy as you are ideally situated to explore the mountains by foot or even by mule. Each of the 28 bedrooms, suites and Berber Tents is decorated with artifacts from around the world. Indulge yourself with a traditional Moroccan hammam, or take a dip in the outdoor infinity swimming pool. Get a taste for Morocco with an interactive cookery lesson, or explore the labyrinth of enchanting staircases and courtyards. Consider a Berber Tented Suite with private Jacuzzi and stunning views. Follow the scent of night jasmine and more than 100,000 roses to the Mandarin Oriental, Marrakech. This stunning hotel lies within 50 acres of landscaped gardens, ponds and olive groves, creating a sanctuary minutes from the city's bustling medina. The 54 villas — which start at 3,096 square feet — are a smart mix of Moorish and Berber stylings, and each centers on a heated pool. The nine suites are equally sublime with spacious living areas to stretch out in. After a steam in the hammam, sit down to Chef Meryem Cherkaoui's innovative Moroccan cuisine. All guests enjoy privileged access to the Royal Golf Club and its 27-hole course. From Tangier on the Strait of Gibraltar to Ouarzazate, the gateway to the Sahara, this North African country ranks high on traveler wish lists. Here’s looking at you, Casablanca – and to the the High Atlas mountains for great trekking, mountain biking, and more. Of course, Marrakech is always in fashion. Yves Saint Laurent made his second home here and fans can explore his gardens as well as the new Musée Yves Saint Laurent Marrakech. 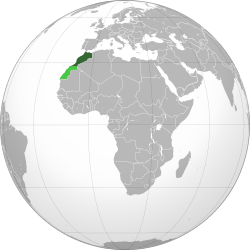 Atlas Mountains - Stretching through North Africa and dividing Morocco into the Atlantic and Mediterranean terrains from the Sahara the Atlas Mountains are Africa’s highest mountain range. Explore the home of the Berbers and how it’s jagged-tooth peaks shape the country as a whole. Casablanca - This storied city blends Berber, Arab, Moorish and European culture that has, since independence, bloomed into an affluent modern metropolis standing as the Moroccoan financial capital and the face of modern Morocco. Essaouira - Clinging to Morocco’s Atlantic coast, Essaouira also known as the ‘Windy City of Africa’, is a tourist hub in the summer months where the town shows off its sparkling whitewash and blue shutters. This serene coastal city retains its traditional character and culture where visitors will find men in djellabas racing through the streets on motorbikes while they wander the spice-scented streets and avenues of the fortified medina. This is the perfect place to explore the city’s many art galleries and boutiques in this modern city shaped by its medieval and moorish architecture and history. Fez - The city of Fez has been a center of academic and religious education for Islam and Christianity since medieval times. Separated into three sections, the French imperial built Ville Nouvelle; Fes-Jdid or new Fez; and the old walled city of Fes el Bali - the world’s oldest medina and largest car-free urban area where tourists will experience Morocco of a bygone era. The rich history of Fez is clearly apparent as visitors wanders through its streets and markets and embrace a city like no other with its lively streets, aromatic food stands, riad rooftops and countless artisans. Marrakesh - A sure highlight of any trip to Morocco, Marrakech offers an experience visitors will be hard to find anywhere else in the world. From the mythical Djemaa el Fna square with its snake charmers, acrobats, storytellers and musicians or the intricate labyrinth of alleyways in the souk, with thousands of stalls selling everything from spices to leather to metalwork and rugs in a dazzling array of designs and colors. The ‘Red City’ will give visitors all the tastes of Morocco making it the most visited city the Kingdom of Morocco. Rabat - Once a haven for pirates, Rabat is Morocco’s capital, political center and second largest city with a distinct architectural and decorative style that exemplifies contemporary Morocco. Feel the cultural crossroads of Morocco’s history by exploring Chellah, the old Carthaginian city later conquered by the Romans and Arab caliphs. A respite from the speed of Casablanca, Rabat offers visitors opportunities to visit the King Mohammed V mausoleum, tour the city’s medina and kasbah before venturing deeper into Morocco.